It's hard to believe it's already been a year since we visited Hawaii for a friend's wedding. He's since moved to San Diego, but I think all our hearts stayed in Honolulu. Here are nine standouts from our four days in Oahu. 1. Stay at the Modern Honolulu, or at least visit the pool bar after sunset for sleek cocktails. 2. Get your morning caffeine fix at Gorilla in the Cafe, right along Kalakaua Avenue. 3. 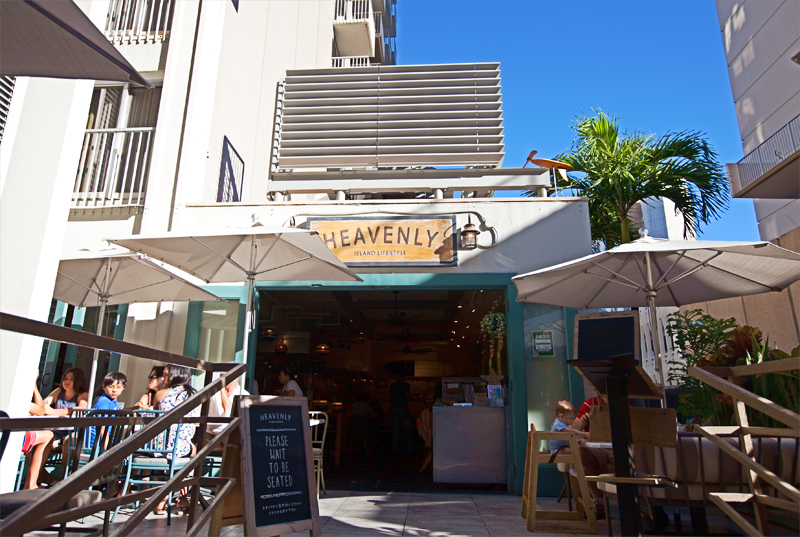 And grab a healthy and fresh brunch at Heavenly. 4. 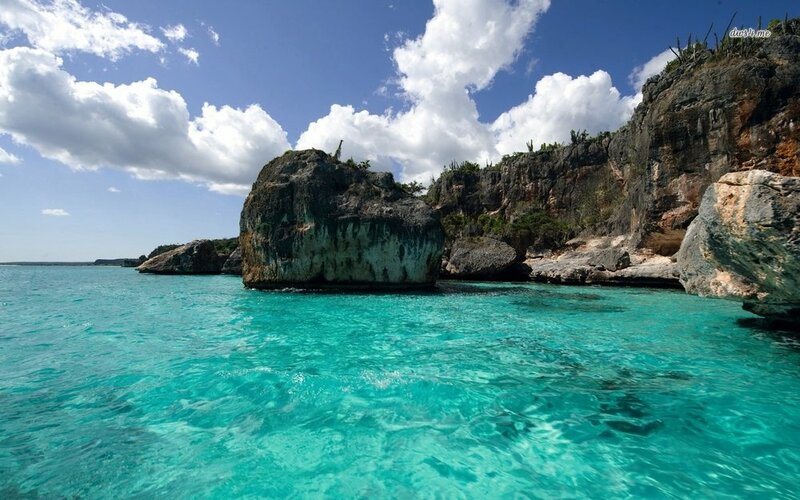 Ignore the signs and make the Shire-like hike to Lulumahu Falls. 5. Rent a Jeep (or scooter if you're nuts) for a trip around the island -- my favorite scenery is just a 20-minute drive past Diamond Head. 6. Take the Island Magic sunset booze cruise (and be on time!). 7. Spend an evening wandering the Royal Hawaiian (Mai Tai Bar is adorable!). 8. Think twice about fancy SPAM appetizers. I just can't get into SPAM. 9. 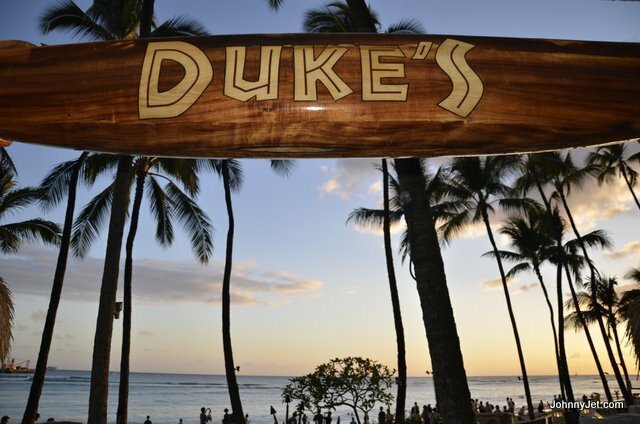 You're in Hawaii -- embrace your inner tourist and make the stop at Duke's. It's famous for a reason! Hi, everyone. Remember that time I disappeared for a good three and a half months with no warning, and no out-of-office letting you know when I'd be back (gasp!)? Yeah, I'm sorry about that. The summer filled up fast, and sadly blogging fell by the wayside. The exciting news is I've spent lots of time thinking about how to make Thirty Somewhere bigger and better, and I have new tricks up my sleeve for the coming months. We celebrated America, in one of America's greatest cities, with cocktails, one of America's greatest pastimes. Spending Chicago's sticky-sweet Fourth of July evening at Drumbar, next to the all-American, all-lit-up red, white and blue John Hancock Center. I certainly miss this (slight) tan. We wet our German whistles celebrating Oktoberfest... with lots and lots of Chicago-brewed beer. Spending my birthday weekend enjoying an epic boy band medley at Revolution Brewery's Oktoberfest. Seriously, check out Revolution's Oktoberfest if you happen to be in Chicago that weekend next year. We had eight tickets to refill those giant beer glasses over just a three-hour period, plus food, plus fantastic entertainment -- both musically, and from our fellow exubert attendees. It's a good time. We commemorated our #BasicBia love for Starbucks, pre-#RedCup "fiasco," with pretty on-point Halloween costumes. A former colleague makes the most fantastic cookies. 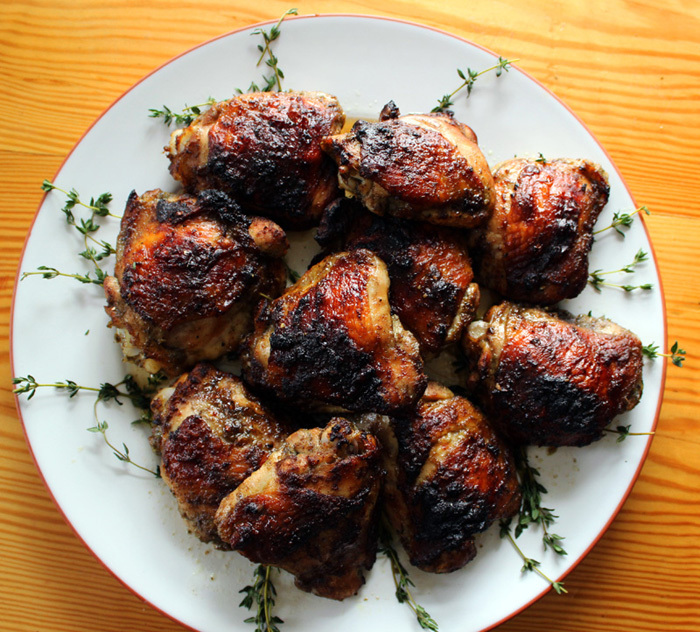 Every time they're around, the resounding review is, "OMG. This cookie doesn't just look good; it tastes AMAZING." I can vouch, after eating at least a third myself. Check out her creations, and put in your orders, at For Sweet's Sake. We're nesting in the NEW HOME we finally locked down last August! A GIGANTIC thanks to the BEST REALTOR in Chicago, Gwen Stark! Not only did she help us find our dream home, but she kicked off our closing celebration with the cutest champagne toast possible. FIND HER if you're looking to buy! We have a ways to go, but we're slowly making this place our home. I'm excited to finally have wall space for all the vacation art we've bought over the years! Honestly, for those of you who were part of our condo purchase roller coaster, you probably understand why we didn't have much time to travel, or to blog -- or to do anything really, beyond pushing to seal that deal. We're so glad we're finally settled in our very first home, picking out paint colors, scoping out new furniture and hosting our best friends for any excuse to throw a party. While we've been checking out West Elm more than the West Indies lately, we're finally ready to scratch that insatiable travel itch again. And that means you can expect a lot more fun and exciting updates on Thirty Somewhere! Plus, I'll be pulling in travel tips from fellow wanderlusters who've logged a lot more miles than me. Get ready for lots of fun ahead. Buckle up for the ride!